Discussion in 'Studio Lounge Games' started by kingchuck69, Jan 7, 2019. Welcome to the 457th edition of Who Am I?, the weekly game where I dish out a daily clue to a subject and you have to guess who or what it is. CLUE #1: I was founded in California. CLUE #2: I share my name with a critically-acclaimed movie from the 2000s. CLUE #3: I once owned a well-known movie studio. Wolf, kingchuck69 and scotchandcigar like this. Bet you're as erect as that building right now. 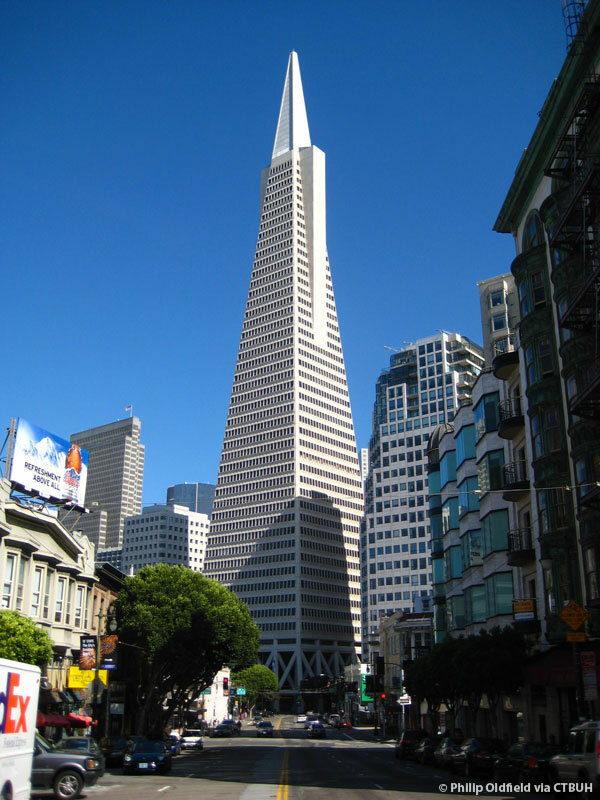 It's Transamerica, the insurance company founded in 1928 by A.P. Giannini in San Francisco that would end up owning its own airline and film studio, United Artists. Today, the company is owned by Aegon, a Dutch company and is now based in Cedar Rapids, IA. MadisonRadio1, Wolf, Aaron and 1 other person like this. I was literally about to give up on it for today. MadisonRadio1, Wolf and kingchuck69 like this. Congrats Hectic and thanks Chuck. Good job with the architecture Hectic, great game King!